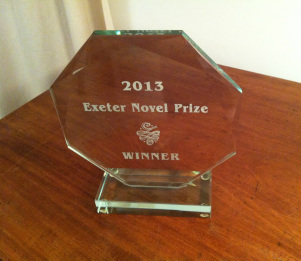 On Saturday 22nd March, the winner of CreativeWritingMatters' inaugural Exeter Novel Prize will be announced at a ceremony in the heart of Exeter city centre. 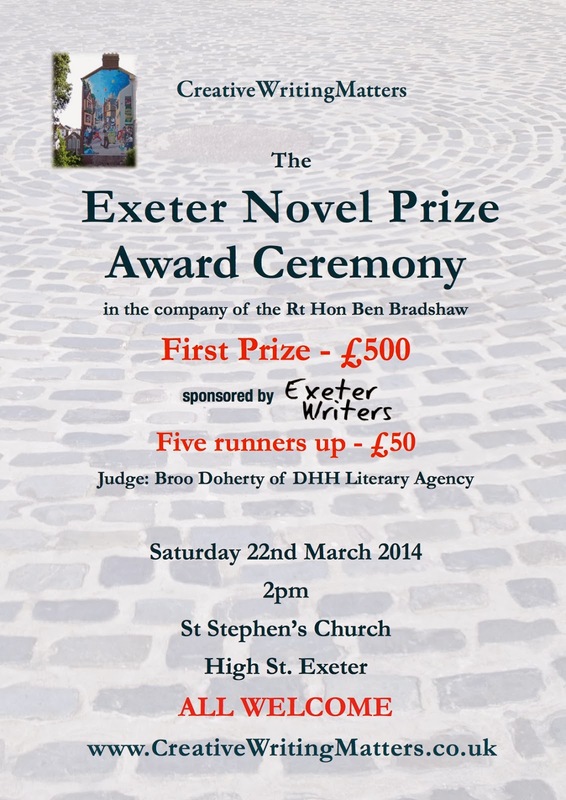 Sponsored by Exeter Writers, the £500 first prize will be presented by Ben Bradshaw MP, as well as £50 runnner-up prizes for the five other shortlisted writers. 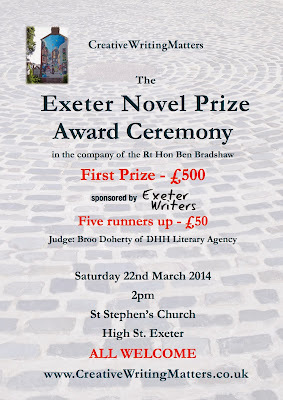 Also in attendance will be the prize's judge Broo Doherty of DHH Literary Agency, the CreativeWritingMatters team, and many local authors. 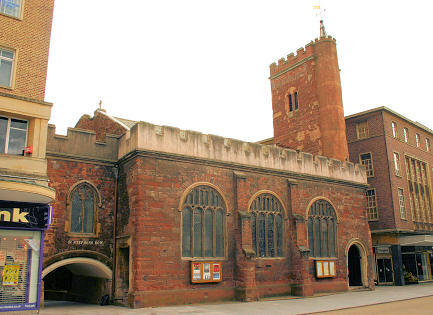 The ceremony begins at 2 p.m. at the beautiful St Stephen's Church on Exeter's High Street. All are welcome.